Running on empty with no time for rest, yourself, or God? 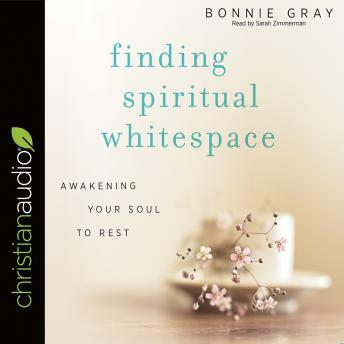 Soulful author Bonnie Gray shows how to create spiritual whitespace in the everyday for God, refreshment, and faith—right in the midst of our stress-frayed lives. She guides you to discover a better story for yourself, one that feeds your soul and makes room for rest.